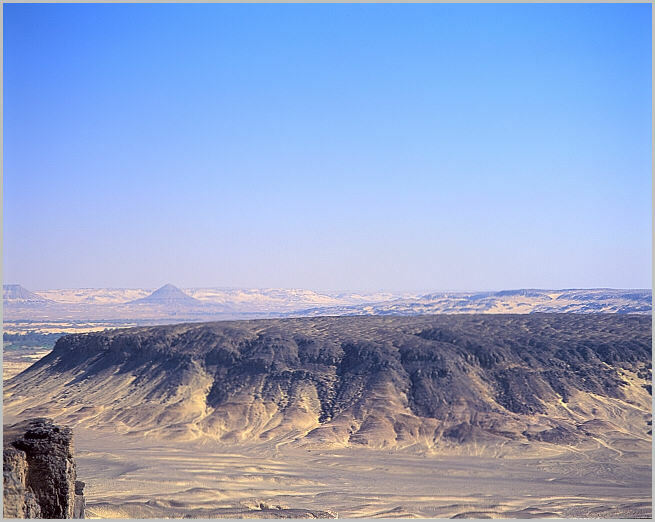 Black Mountain, near the Bahira oasis. This is an ancient basaltic flow. The whole area for perhaps a 200 km is filled with these dark basaltic flows, a volcanic glassy stone.